The world of Ye Olde Worlde Cars has been quietly carrying on thanks to Morgan, a company that like to keep things pleasantly old school. 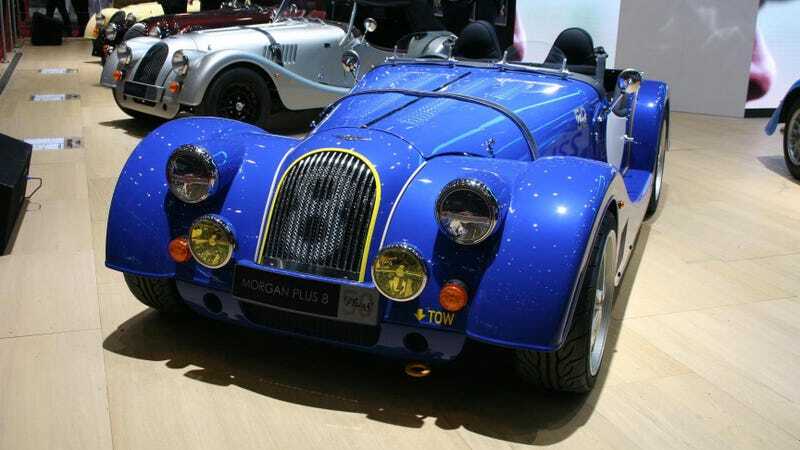 Big motors, wood frames, looks from 1950s England, and a healthy dose of good ‘ol Blighty are Morgan’s jam—but taxes and regulations mean it has to change. And without many people noticing, it has. A chat with Jon Wells, Morgan’s Head of Design, shows a company that is actually less 1953 and more 2053, albeit with a twist. This year sees the 50th anniversary of the Morgan Plus 8, and maybe the end of the Morgan V8 itself. Both the Plus 8 and the Aero 8 are on the way out. Part of this is the BMW-sourced naturally aspirated V8 engine, something BMW doesn’t even use anymore. Does that mean no more V8 at all? He, irritatingly, wouldn’t say. Even with batted eyelids and the sweetest smile thrown his way. Morgan needs to modernize, and its needs to do so quickly, but that may not be the issue you imagine it to be because while no one was looking the company has started doing really well. Last year was Morgan’s best year to date, it did so well that it bought back its previously leased factory and lobbed cash at engineering, R&D, and training. “When I started at Morgan there were eight engineers and two designers, now there are more than 20 engineers and six designers,” Wells said. Electrification is coming, we know that, but it doesn’t mean the old school way of doing things are on the way out. It means that there will still be some quirks in the mix, but only the ones that enrich an experience rather than the ones that blight a journey, like having your V8’s motor refuse to start for no reason. And you know what? Quietly, subtly, Morgan seems to be changing while keeping things as familiar as possible. Imperfections and all. British car writer/presenter person. I like drinking copious amounts of tea. Why Is It So Hard To Find A Good Cheap Car?